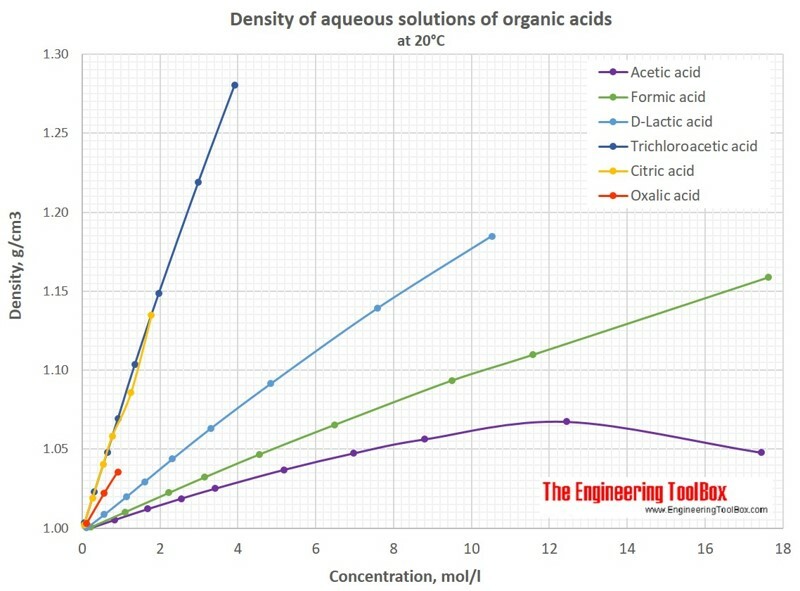 For full table with Oxalic and Trichloreacetic Acid - rotate the screen! Engineering ToolBox, (2017). 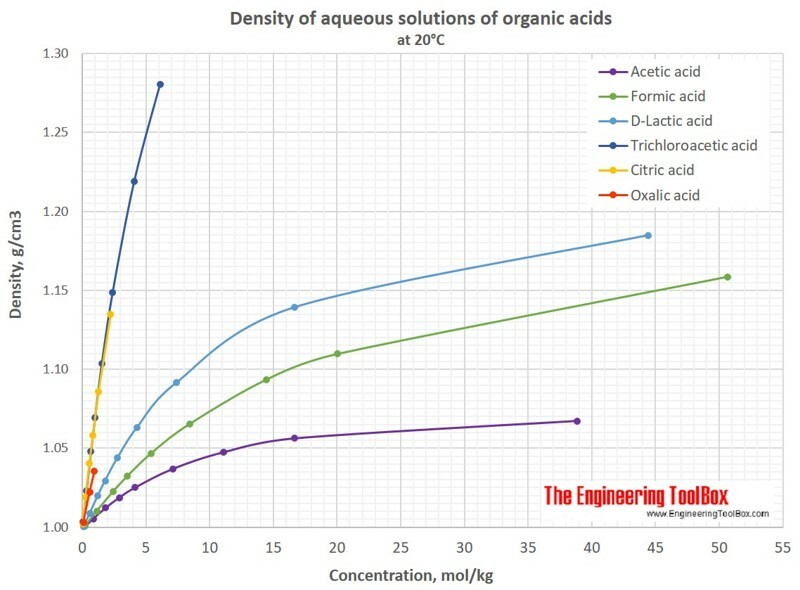 Density of aqueous solutions of organic acids. 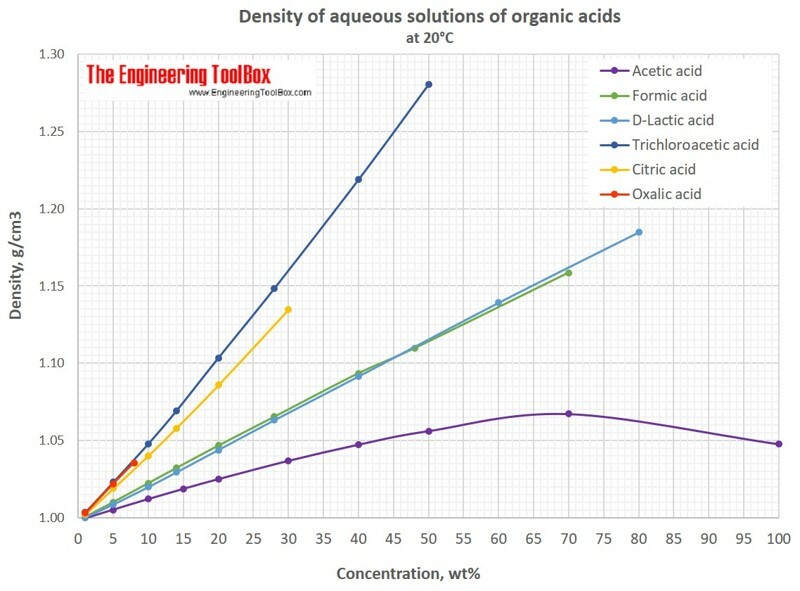 [online] Available at: https://www.engineeringtoolbox.com/density-aqueous-solution-formic-lactic-oxalic-acetic-citric-acid-concentration-d_1953.html [Accessed Day Mo. Year].